Four finalists have been selected for the post of permanent Wildwood police chief. City Manager Jason McHugh, who is supervising the hiring process, told commissioners this week that he probably will announce his recommended candidate later this month. The city received 51 applications and 10 candidates were chosen for initial interviews. Finalists include Bradley Kutner, Randy Parmer, Mark Schrader and Cory Taylor. Kutner serves as chief of the Criminal Investigations Division of the Alachua County Sheriff’s Office. Parmer is captain of law enforcement with the Florida Bureau of Alcoholic Beverages and Tobacco. Taylor is a captain with the Ocala Police Department and Schrader is a former sheriff’s deputy in Highlands County. Among the 10 candidates interviewed, but not selected as finalists, were Steve Bracknell, Michael Fewless, Chris McKinstry, Steve McCosker, Michael Gibson and Paul Grohowski. The contract of Fewless, Fruitland Park chief, was not renewed in October and McKinstry, Lady Lake chief, quit his job in December. Paul Valentino, who served as Wildwood police chief for about one and a half years, retired at the end of December and two other command officers, Deputy Chief Gerald Olbek and Capt. Ashley Rogers, also resigned. Their departures came after the command officers clashed with the city manager and expressed concerns over mold and asbestos exposure at the department’s 52-year-old headquarters, which was severely damaged by an electrical fire last Oct. 21. 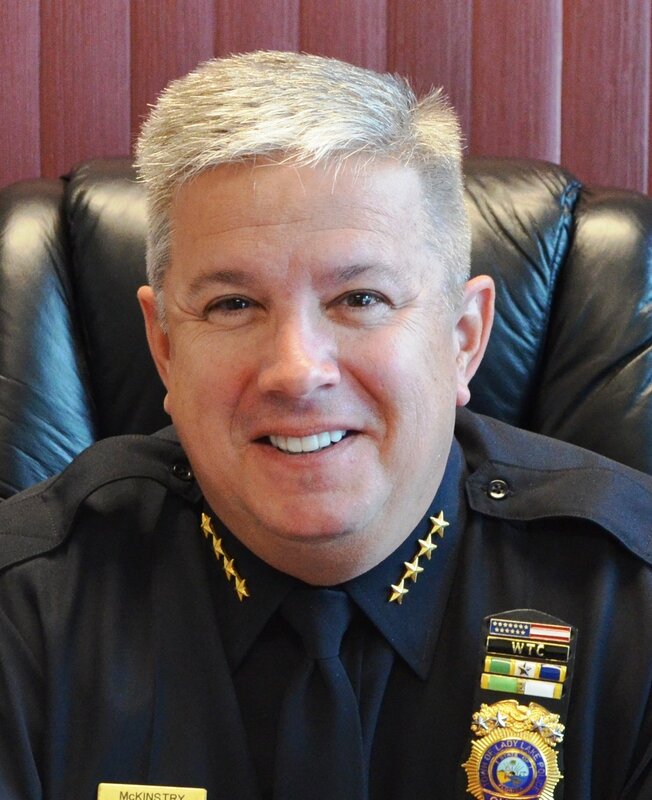 The city commission hired Paul Sireci, a former security director at Tampa International Airport, as interim chief until a permanent chief is hired. Due to the fire, the department is currently housed in a temporary trailer on the former station site and soon also will occupy a substation on Jackson Street. Wildwood is building a $7 million police station on the southwest corner of U.S. 301 and County Road 462 West.